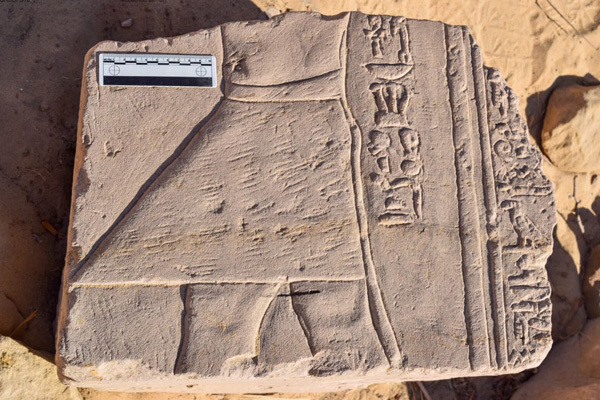 The Egyptian Excavation Field School at the Kom Al-Rasras archaeological site in Aswan has uncovered the remains of a sandstone temple dating back to the 2nd century CE, during Egypt's Roman period. The temple bears the cartouches of a number of Roman emperors such as Domitian (81-96 CE), Hadrian (117-138 CE) and Antonius Pius (138-161 CE). Ayman Ashmawy, head of ancient Egyptian antiquities at the Ministry of Antiquities, explains that excavators also discovered the temple's sanctuary, which consists of three chambers. The sanctuary leads to a cross-sectional hall connected to another hall, which is accessed by a sandstone ramp. Found inside the temple were remains of stone engraving with stars representing the sky, possibly a part of the temple's ceiling. 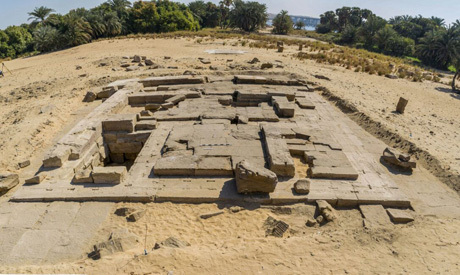 “The discovered site might be connected to Gebel Al-Silsila area and the temple was most probably a part of the residential area of the quarry workers,” Ashmawy told Ahram Online. He explained that the hieroglyphic name of the site is “Khenu." The name is engraved on one of the discovered blocks which connects the site to the residential city. 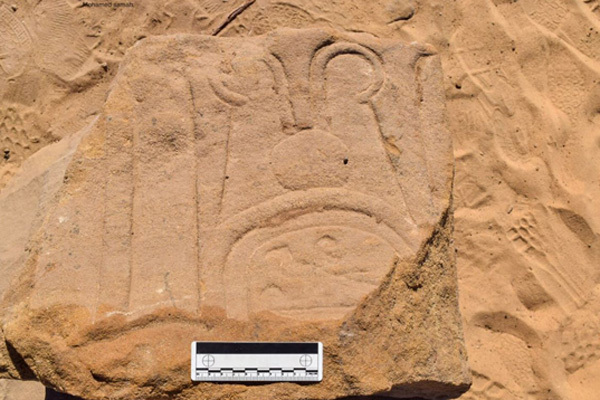 Further excavations may lead to the discovery of the residential area of Al-Silsila quarries. Bassem Gehad, Assistant to the Minister of Antiquities for Human Resources and Training, said that the Kom Al-Rasras school was the first Egyptian field archaelolgical school to be founded. 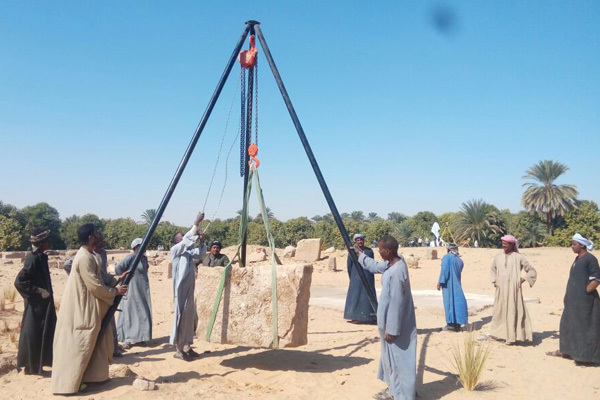 The school's founding comes within the Ministry of Antiquities' framework to establish a number of Egyptian field schools in order to develop the skills of junior archaeologists in several domains, including excavation, documentation, restoration and site management. He pointed out that the ministry has established four similar training centers in Alexandria, Upper Egypt, Giza and South-Sinai, and is scheduled to establish six more schools across the country. The Al-Rasras field school began training students in January 2018 with a class of 16 archaeologists from Sohag, Qena, Luxor and Aswan.